One Drive – Day and Night! 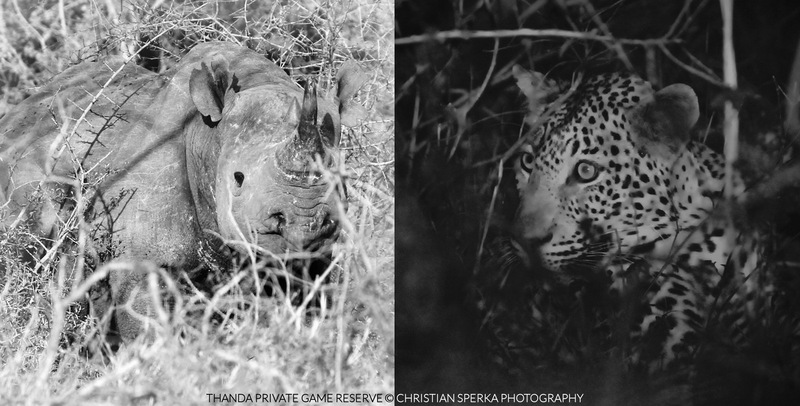 To encounter these two very shy species in one game drive is a rare treat. A few days ago the Thanda guests enjoyed a sighting of a Black Rhino bull before sunset and of a Leopard male after dark in just one exciting afternoon drive. Beautiful Leopard, Great sighting for the guest.